Images courtesy of James Persky, MD. Used with permission. Iida O, Takahara M, Soga Y, et al; ZEPHYR Investigators. 1-year results of the ZEPHYR Registry (Zilver PTX for the Femoral Artery and Proximal Popliteal Artery): predictors of restenosis. JACC: Cardiovascular Interventions 2015;8(8):1105-1112. Bausback Y. 2 year results of the REAL PTX Randomized Clinical Trial comparing Zilver PTX DES vs. DCB in femoropopliteal lesions. Presented at the 7th Munich Vascular Conference (MAC); December 7-9, 2017; Munich, Germany. Micari A, Brodmann M, Keirse K, et al; IN.PACT Global Study Investigators. Drug-coated balloon treatment of femoropopliteal lesions for patients with intermittent claudication and ischemic rest pain: 2-year results from the IN.PACT Global Study. JACC: Cardiovascular Interventions 2018;11(10):945-953. Lammer J, Zeller T, Hausegger KA, et al. Sustained benefit at 2 years for covered stents versus bare-metal stents in long SFA lesions: the VIASTAR Trial. Cardiovascular & Interventional Radiology 2015;38(1):25-32. Brodmann M. Real world value of the In.Pact Admiral DCB (Medtronic) for fem-pop lesions: from the In.Pact Global Registry: what else does it tell us. Presented at the 44th Annual Symposium on Vascular and Endovascular Issues, Techniques, Horizons (VEITHsymposium); November 14-18, 2017; New York, NY. 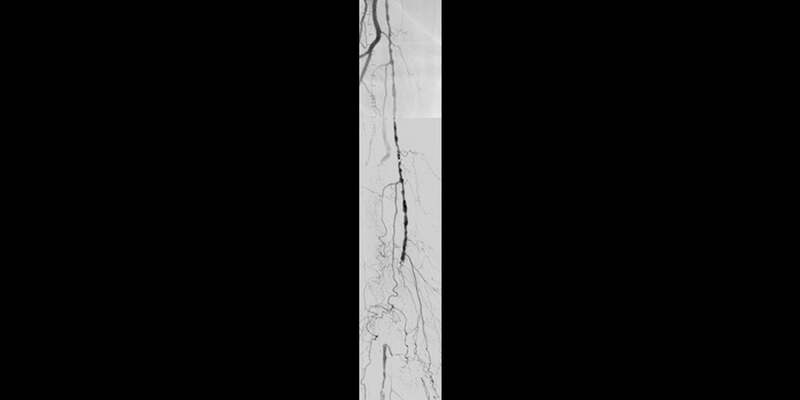 Iida O, Nanto S, Uematsu M, Ikeoka K, Okamoto S, Nagata S. Influence of stent fracture on the long-term patency in the femoro-popliteal artery. JACC : Cardiovascular Interventions 2009;2(7):665-671. Scheinert D, Scheinert S, Sax J, et al. Prevalence and clinical impact of stent fractures after femoropopliteal stenting. Journal of the American College of Cardiology 2005;45(2):312-315. U.S. Food and Drug Administration. Center for Devices and Radiological Health. FDA Summary of Safety and Effectiveness Data. GORE TIGRIS Vascular Stent. P160004. http://www.accessdata.fda.gov/cdrh_docs/pdf16/P160004B.pdf. Published July 27, 2016. Accessed July 17, 2018. W. L. Gore & Associates, Inc. Evaluation of the GORE® TIGRIS® Vascular Stent in the Treatment of Atherosclerotic Lesions of the Superficial Femoral and Proximal Popliteal Arteries. [Final Post-Approval Study Report-Executive Summary]. Flagstaff, AZ: W. L. Gore & Associates, Inc; 2017. MD165299. Zeller T, Peeters P, Bosiers M, et al. 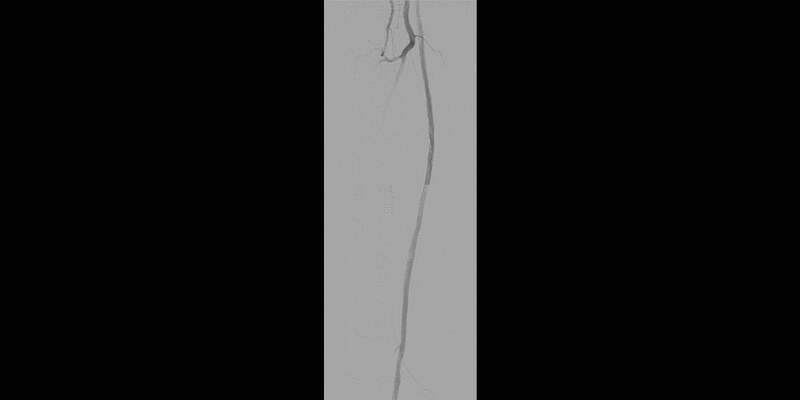 Heparin-bonded stent-graft for the treatment of TASC II C and D femoropopliteal lesions: the Viabahn-25 cm Trial. Journal of Endovascular Therapy 2014;21(6):765-774. Reijnen M, van Walraven L, Fritschy W, et al. 1-year results of a multicenter, randomized controlled trial comparing heparin-bonded endoluminal to femoropopliteal bypass. Journal of Cardiovascular Interventions 2017;10(22):2320-2331. Ohki T, Kichikawa K, Yokoi H, et al. Outcomes of the Japanese multicenter Viabahn trial of endovascular stent grafting for superficial femoral artery lesions. Journal of Vascular Surgery 2017;66(1):130-142.e1. Saxon RR, Chervu A, Jones PA, et al. Heparin‑bonded, expanded polytetrafluoroethylene‑lined stent graft in the treatment of femoropopliteal artery disease: 1‑year results of the VIPER (Viabahn Endoprosthesis with Heparin Bioactive Surface in the Treatment of Superficial Femoral Artery Obstructive Disease) Trial. Journal of Vascular & Interventional Radiology 2013;24(2):165‑173. GORE® VIABAHN® Endoprosthesis with Heparin Bioactive Surface [Instructions for Use]. Flagstaff, AZ: W. L. Gore & Associates, Inc; 2014. MD147177. COOK® and ZILVER® PTX® are trademarks of COOK Medical, Inc.